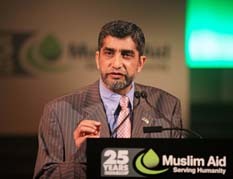 HRH The Prince of Wales and Prime Minister Gordon Brown congratulated Britain’s premier international charity Muslim Aid on its achievements. 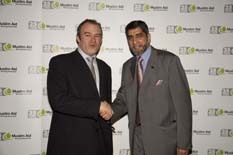 Prime Minister Gordon Brown delivered a video message to mark 25 years of Muslim Aid’s work in over 70 countries. 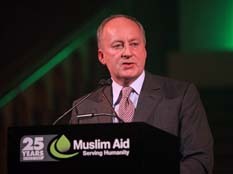 Secretary of State for Northern Ireland Shaun Woodward MP, addresses distinguished guests at Muslim Aid's 25th anniversary event, held at the Natural History Museum. 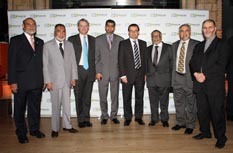 Andrew Mitchell MP, Shadow Secretary for International Development meets with Muslim Aid trustees. Edward Davey, Liberal Democrat MP was also a speaker at the event. 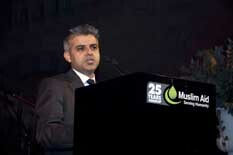 Sadiq Khan MP, Minister of State for Transport also addressed guests at the event. 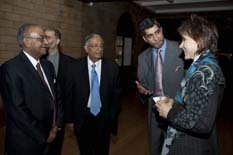 Dame Suzi Leather, Chair of the Charity Commission was amongst the distinguished guests.